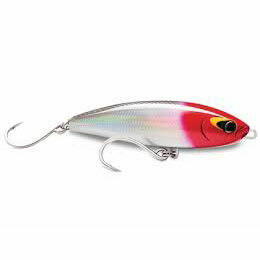 One of the most unique designs for a casting lure, this is a combination of a popper and floating stickbait, and something we have worked on for a long time to perfect with the ultimate balance and action. 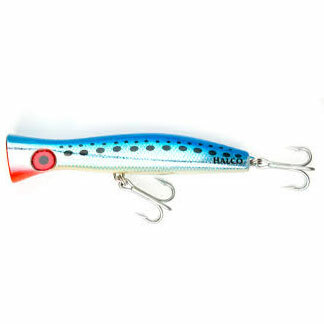 The cupped head and air chambers going through to the underside of the body have been designed to force bubbles along the side of the body, where they hug the sides of the lure creating a unique rolling swimming action. 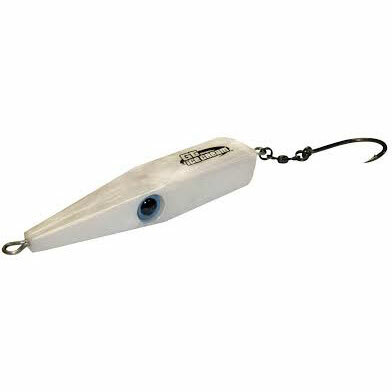 It can be worked in a ‘walk the dog’ style, as a swimming stickbait with a wild action, as a popper, or fast across the surface with an erratic action. 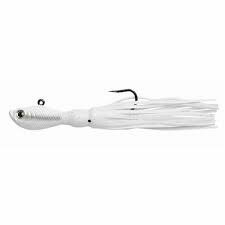 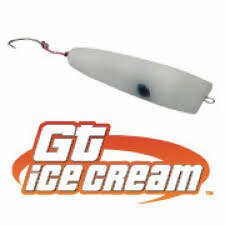 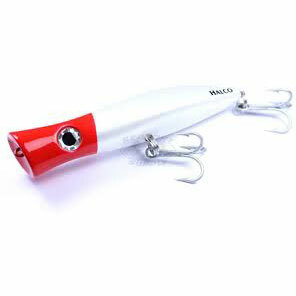 GTs, Spanish mackeral, kingfish and tuna find this lure irresistable, and coral trout and reef species in the shallows absolutely love the smaller versions. 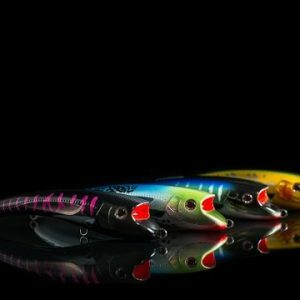 The new Shout! 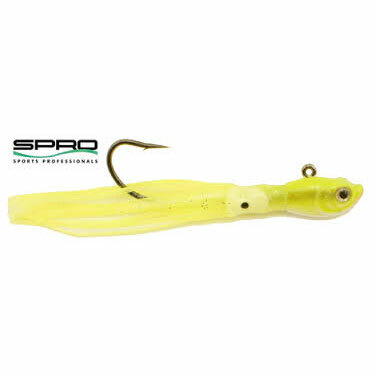 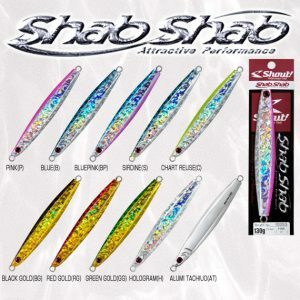 “SHAB SHAB” is designed for various kinds of fish.Suitable for both bottom and surface jigging, and the most important feature of “SHAB SHAB” is its movement. 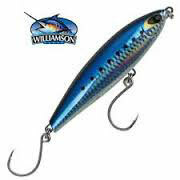 The quick, attractive performance offer an exciting period for your fishing! 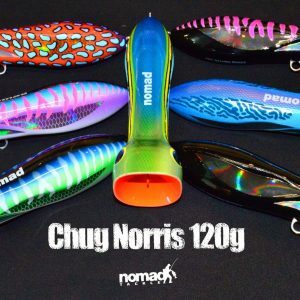 Only available at the Fourways & Pretoria branches.